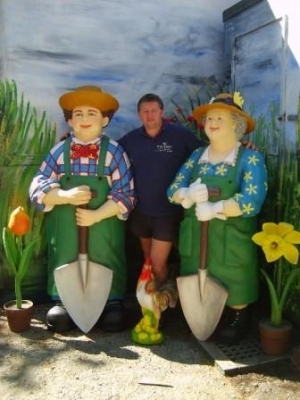 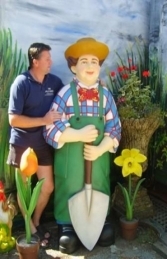 This fantastic 6ft figure of an cheerful Lady Gardener is a wonderful character to draw attention to your gardening business; she would look super in combination with her husband, our Gardener Male, with Spade model (JR 1509). 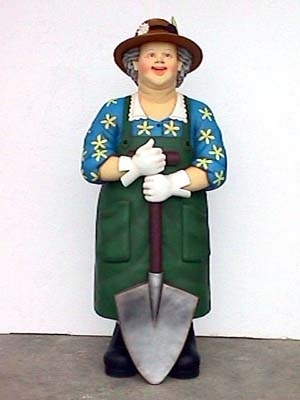 This lovely, smiling Lady Gardener model would look very attractive at the entrance to a Garden Centre, especially with her partner the Gardener with spade. 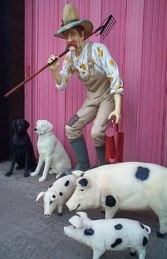 This resin statue can be used in any farmyard themed area or in shops, businesses, pubs, restaurants, coffee shops, adventure golf courses, zoos, theme-parks.. or would even look fabulous in your own home or garden.